Villas Ioli is in front of the boundless unspoilt beach of Agios Ioannis into a space of 5000 square metre, among palm - trees and it consists of 14 lefkada rooms. 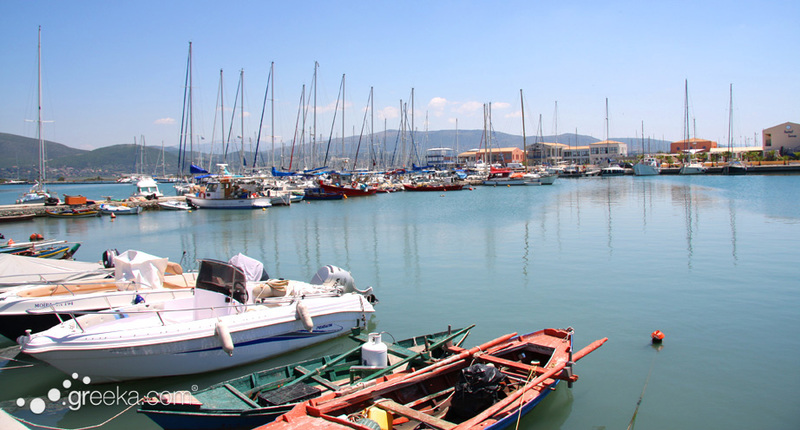 The beach of Agios Ioannis and all the surrounding area including the lagoon has been regarded as an area of special natural beauty and for that reason the dense building construction is forbidden. 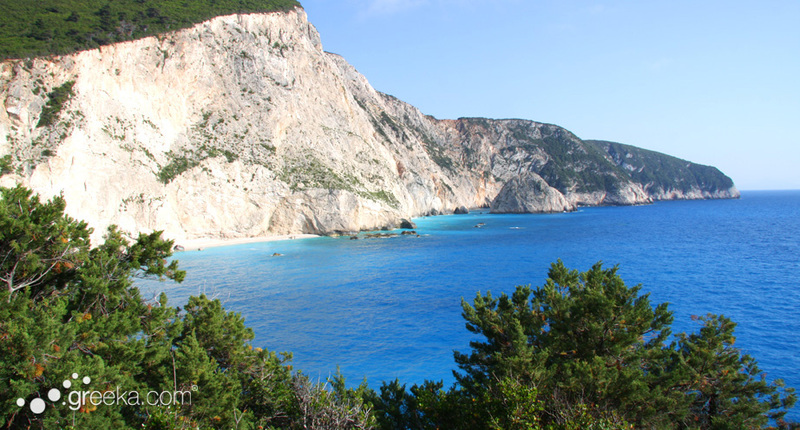 The distance of Agios Ioannis from the capital of the island, Lefkas (or Santa Maura) is only 3 km. 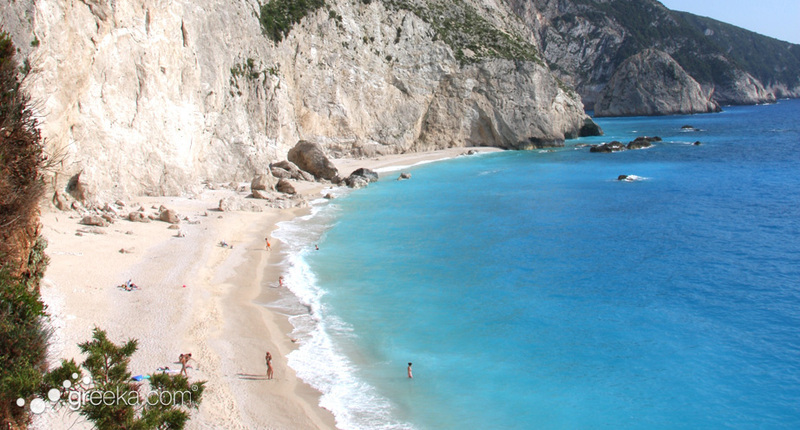 Lefkada is one of the seven islands of the Ionian Sea, in the west of Greece. It is the island of poets and legends!!! Here were born our national poet Aristotelis Valaoritis, Agelos Sikelianos, Lefkadios Hern, N. Svoronos. The island was under English occupation until 1864. 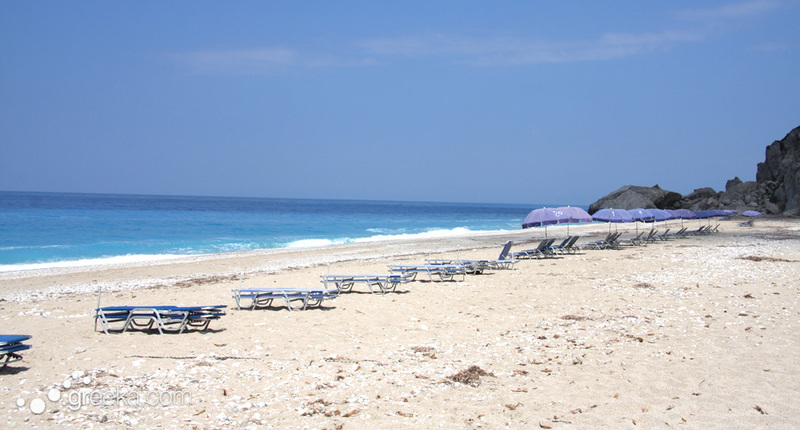 The grassy island of Lefkas has 23.000 permanent inhabitants, it has boundless white sandy beaches, it respects the environment and the tradition in various ways, its distance from Athens is 375 Km and the hospitality of the inhabitants to the visitors is a typical feature of them. The inhabitants are occupied with agriculture, fishing and chiefly with tourism. 1) The Archaeological Museum of Lefkas, the collection of Byzantine icons, the churches of the old town, the castle of Santa Maura (1300 A.C.),the folkrlore museum, the Monastery of Faneromenis and for the special researchers the Historic Archieves 2 of Lefkas (one of the oldest of the country). 2) The unique boundless beaches, which are considered from international magazines of the most beautiful in the world: Porto Katsiki, Kathisma, Gyra, Agios Ioannis, Mikros Gialos, Agiofili and others. 3) The villages of the island which keep their local colour as Karya, Vassiliki, Agios Nikitas, Drymonas. 4) A cruise round grassy small islands as Madouri, Sparti, Skorpios, Meganisi (with the historic cave of Papanicolis). 5) The water sports and chiefly kite surf and wind surf in Agios Ioannis and Vassiliki. 6) The traditional food, the taverns of the old town and the areas near the sea where one can find fresh and cheep fish.